Tips from Milgard on preparing for your window and door project. 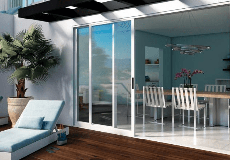 Thinking about installing windows or patio doors? Milgard is here to help. You may be finding many options as you research what’s out there. We have gathered information about the entire process in one place with a step-by-step walk-through. Begin by learning what is important to consider as you start your project. Learn the advantages of selecting certain operation styles to fit your space. Important window and door considerations for protection. Learn how windows and doors can promote a healthier, more comfortable home environment.